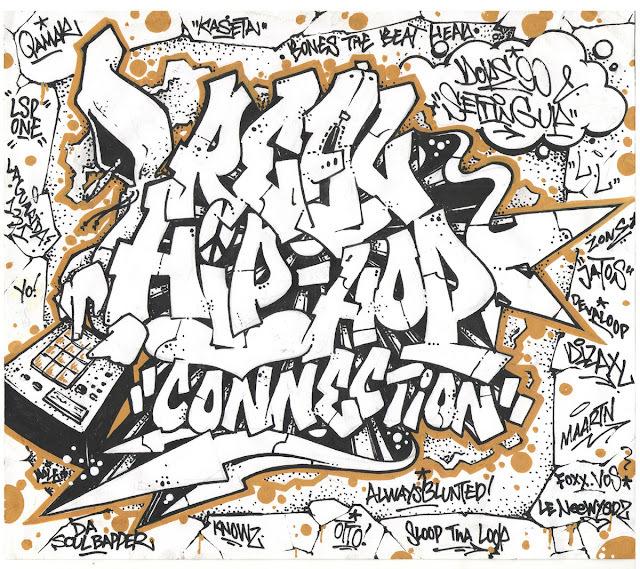 Sliding in a selection this evening, it's a collaborative effort from Dope90 & Setting Up; both representing out of Russia, and they put together this compilation of instrumentals called 'Real Hip-Hop Connection.' It was originally released digitally last year, but it was just reissued on limited cassettes and as an A/B side digital release. If you prefer the individual tracks, click HERE; otherwise, you can support below on cassette or digital. As for the producers on the project, it caught my eye because I've been following Bones The Beat Head out of Germany, and he just so happens to have the first beat on the project. I'm also familiar with Devaℓoop, but I had to dig into most of the other producers on here - I wasn't disappointed. Order the cassette HERE. I also recommend checking out 'Back In Da Boom Bap 90s' from early 2016.